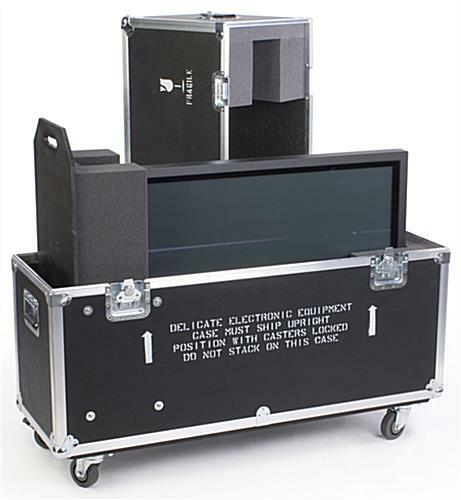 This TV Stand Is the Perfect Accessory for Portable Displays! This TV Stand For 40" Flat Panel TV Features Metal Accents for a Durable Case! This TV Stand Can Be Purchased with Confidence Here! 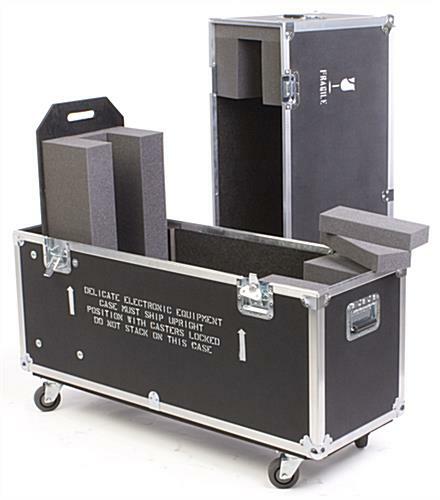 A TV stand case has an EVA foam inside that protects your NEC, Samsung, or other plasma TV. Our company includes (2) long blocks of foam to stuff for supplemental protection. The foam blocks are usually cut to dimension to personalize it to one's own screen. 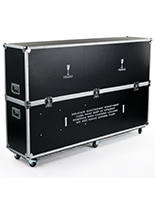 A TV stand case, also recognized as a shipping case and flat panel monitor case, has (4) large wheels to effect moving it not difficult. 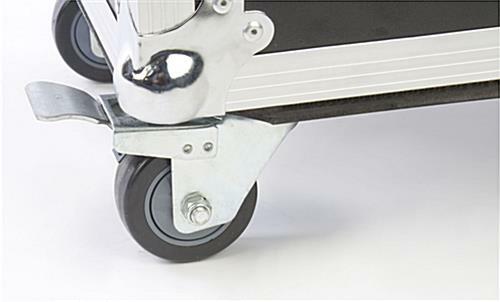 Two of the wheels lock to maintain it steadfast in the course of delivery. 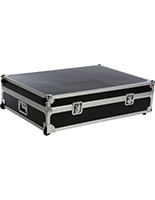 This TV stand case likewise has (4) recessed chrome plated iron latches that keep the case grouped with each different. 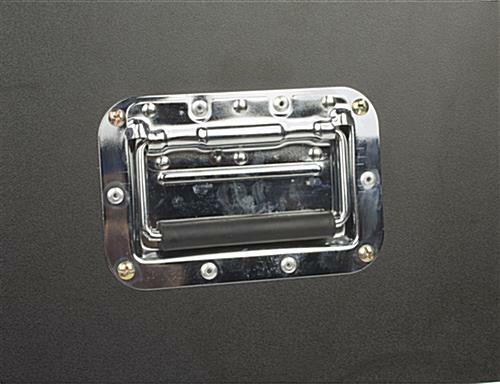 These latches lock into position for a restricted, secure match. There tend to be likewise (4) spring placed handles on the LCD case to effect it not difficult to choose up and uproot. A TV stand is fabricated from 3/8 "plywood with a ABS laminate for maximal protection. 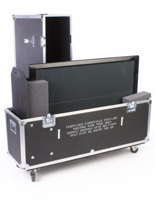 ABS laminate resists heat and stains, rendering this a truly impressive LCD case. 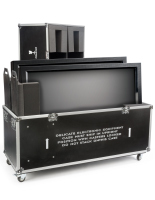 The shipping case, TV stand for 40" flat panel TV contains a movable foam block to shelter one's own TV. 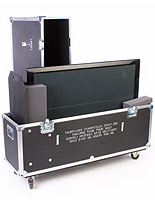 Three slots enable you to alter the inside measurements to suit 39-1/4 ",41" and 43 "broad televisions. A screen case, TV stand likewise has lots of area to accommodate cables and different accessories. 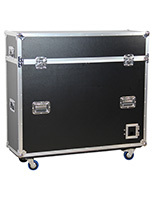 Utilize this TV stand case now to maintain one's own TV secure when transporting it to one's own next event!